TORONTO, ON, MAY 31, 2012 – Constellation Software Inc. (“Constellation”) (TSX: CSU) today announced that its wholly-owned business unit, Constellation Web Solutions, Inc., has purchased the assets of Birdview.com, Inc.(“Birdview”). The acquisition expands Constellation’s market presence in online marketing for residential real estate brokerages, offices, teams and agents. 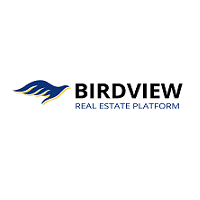 Headquartered in Lombard, Illinois with customers across the United States, Birdview is a leading provider of web sites, lead management and lead generation solutions for the residential real estate industry. Its market leading solutions include OfficeSiteTM for real estate brokerages, TeamSiteTM for teams of agents and AgentSiteTM for individual agents. Features include IDX listings, lead management and e-mail marketing. TrafficAccelerator is Birdview’s second generation traffic and lead generation product. Constellation Web Solutions provides web sites, integrated voice response systems and mobile solutions to a nationwide customer base including 4 of the top 10 US Brokerages. The addition of Birdview’s products and customers will further extend Constellation’s reach beyond its traditional base of large enterprise customers to midsized brokers, offices, teams and agents. Constellation Web Solutions, a part of Constellation Homebuilder Systems, is a real estate marketing company that provides industry leading top real estate websites, mobile technologies, interactive voice response systems, and home builder marketing services. We work with our customers to define strategies and implement innovative ways to grow their businesses by combining strategy, technology and real estate marketing to provide the best real estate websites available. Our proven track record of award winning real estate website designs coupled with our lead generating tools provides you with a single source for real estate marketing. If your needs are for real estate website designs, interactive voice response systems, or real estate mobile marketing solutions we have you covered. We have a successful 25 year history and an impressive client list. But what sets us apart is our ability to embrace emerging trends and apply new rules of marketing in ways that meet tomorrow’s business demands. You can see it in the work we do. You can feel it in the enthusiasm our people bring to every challenge. Our Solutions generate results.